When my husband was at sea, even though I was in a culinary arts program at the time, I just didn’t always feel like cooking for one. Usually I’d have a bowl of cereal or even just a can of corn. But sometimes I’d head over to Pearl City to an itty bitty restaurant which was more like a pick-up window or food truck and get Chinese to go. You could pick three items and rice or lo mein for around $5. It was a ton of food for the price and I would always end up with lunch for the next day too. 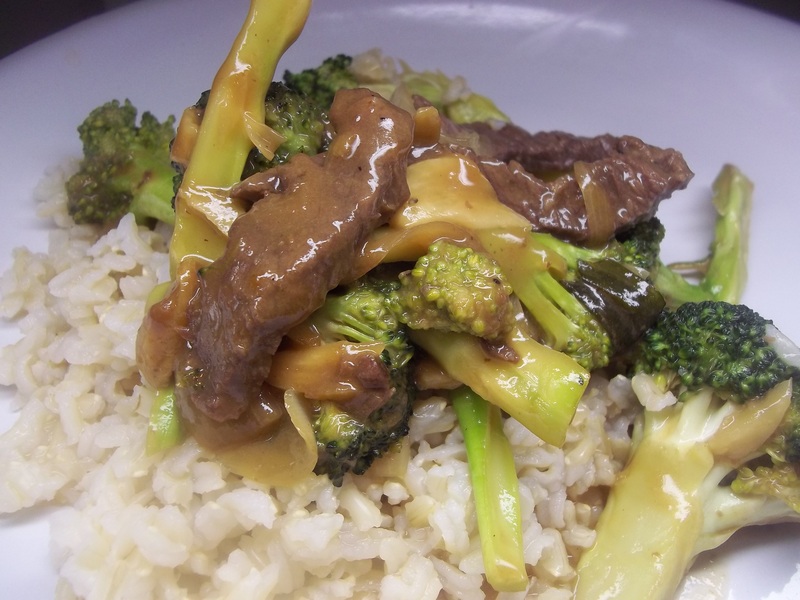 My favorite choice was Broccoli Beef. Mine can’t even compare to theirs but I decided to name my recipe after the city in which I first fell in love with it. Lots of salt and preservatives in this dish, but I pay my dues by cooking without them the rest of the time. 1/2 to 3/4 lb. beef, cut into strips on the bias. The more tender cut the better. Combine marinade ingredients. 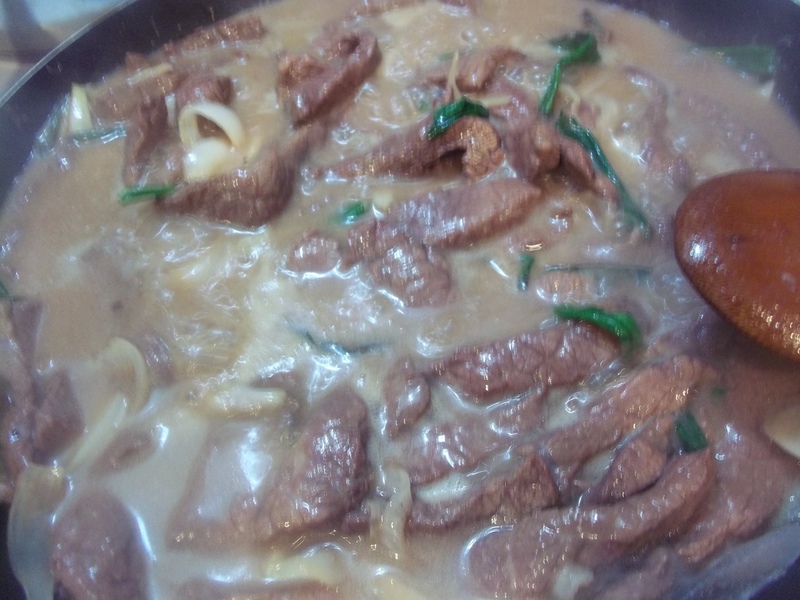 Add beef strips and immerse completely. Cover and refrigerate at least 2 hours. 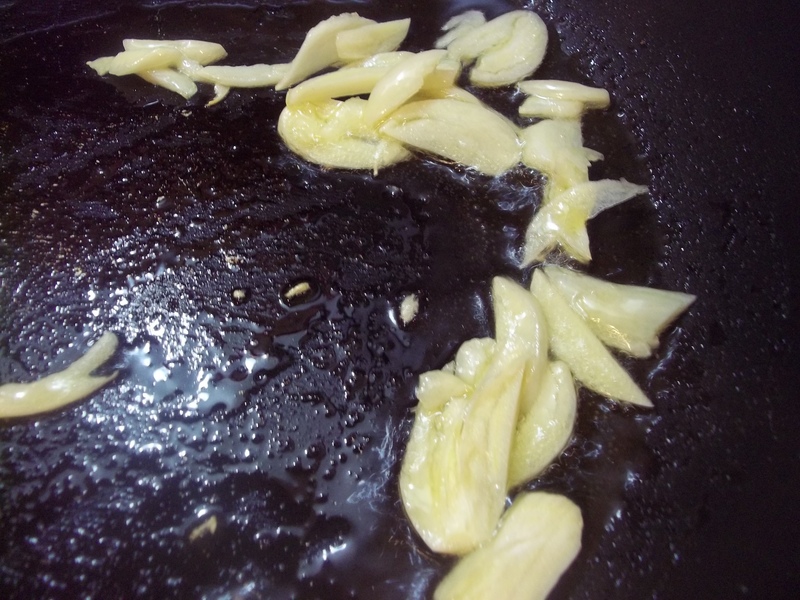 Heat oil over medium to high heat in a wok if you have one, large skillet if not. Add garlic and saute until translucent. Toss in onions and cook for a few seconds. Pour in beef and marinade. Cook until almost done through. Mix together sauce ingredients and pour over contents in pan. 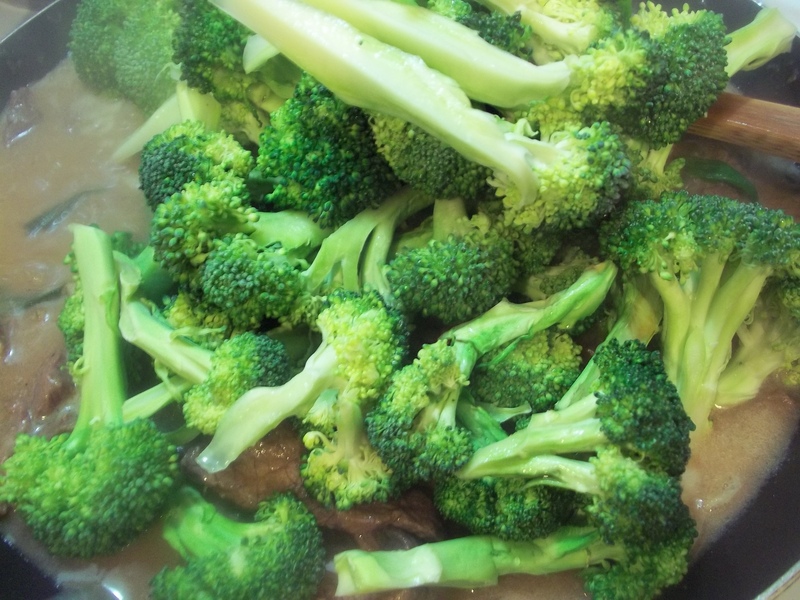 Add broccoli and cook until tender but still bright green. 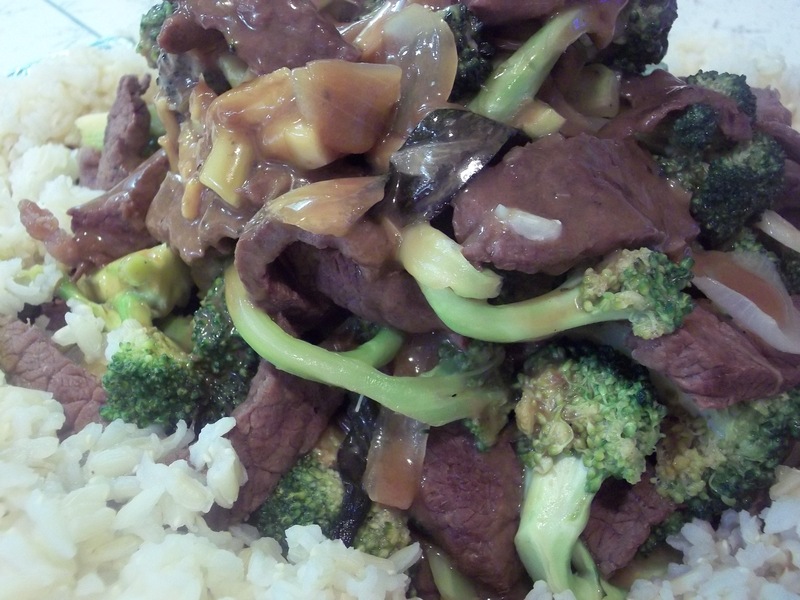 Remove broccoli, beef, and onions. Reduce sauce until thickened. Pour sauce over meat and vegetables. Serve with rice. I wanna live at your house. Everything you cook looks lovely. I could eat this for breakfast. Breakfast? I didn’t think of that. There are still leftovers and I sure could use a break from cereal with goat’s milk.